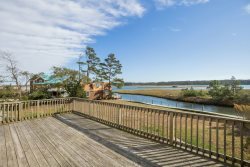 Marsh & Water Views from your sofa. Each Studio has cable TV & Free WiFi. Crab from the Dock, or simply relax and enjoy the beauty. Watch the kids crab from the Dock..... Or just enjoy the sweet, salty air.. Ahhhhh-mazing Views. Beautiful and Natural..... Cozy, clean, and spacious Amazing views right from your sofa. A great place to relax after a fun-filled day on the Beach. Charming, clean, and comfortable..... Spacious Full Bath with Tub/Shower Combo. The Master Bedroom has a comfy Queen Bed. Or simply relax and take in that salty, sweet sea breeze. Take a dip in the pool after a hot summer day... Waterfront Assateague Inn is in a great location on Chincoteague Island. A close drive to our amazing beach.. Nature`s beauty..